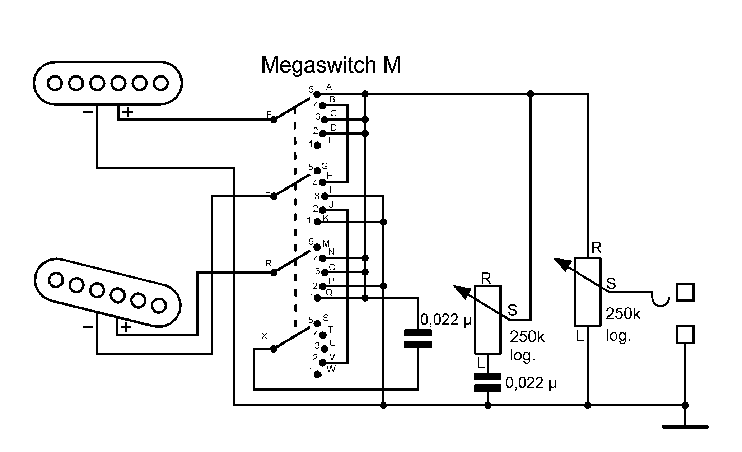 In this switching system two coils are connected in series at a time. 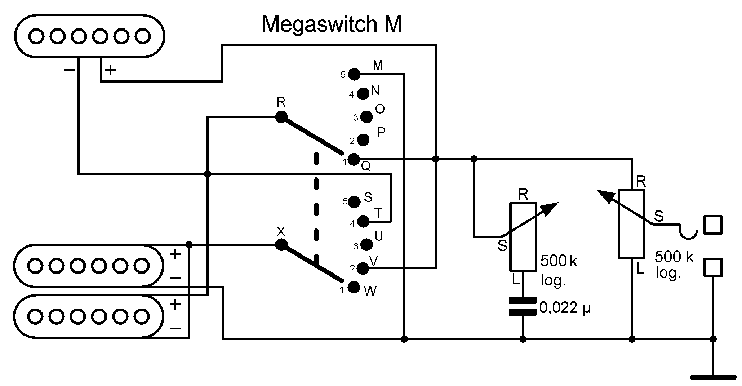 All positions are free of hum when the magnetic polarity is NS-S-SN or SN-N-NS. 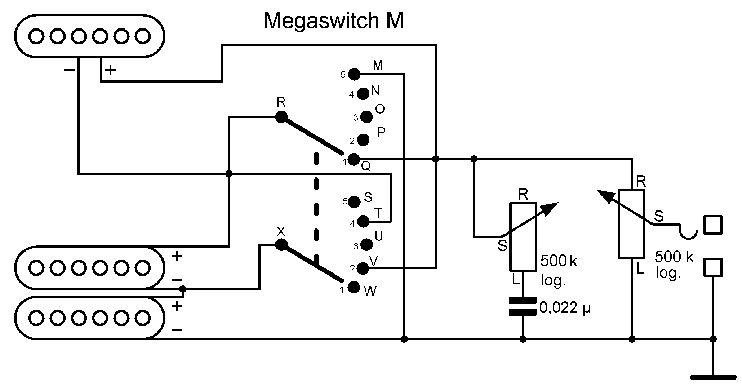 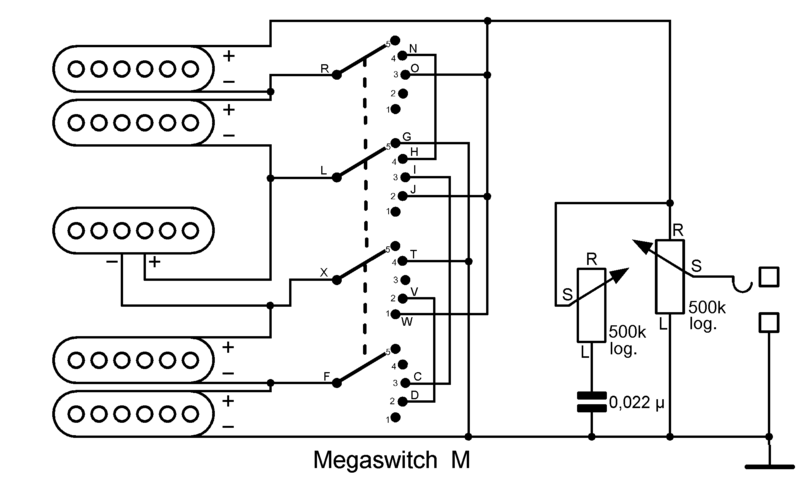 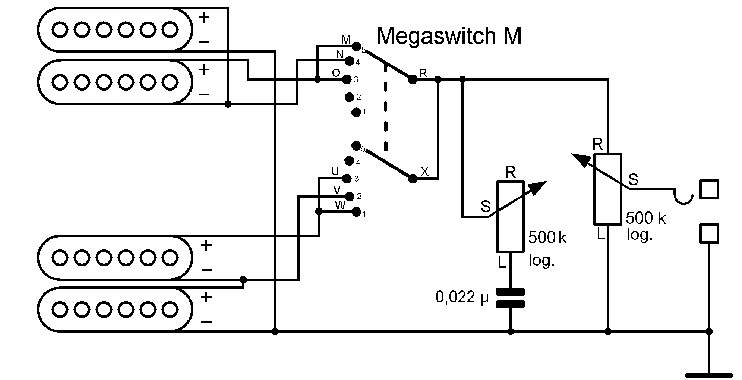 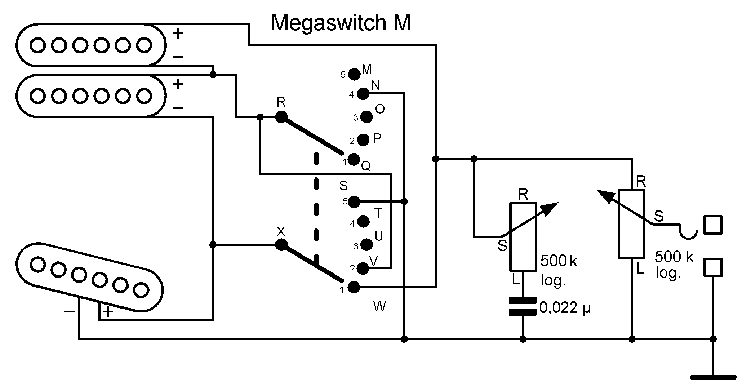 Here a Megaswitch M is in use. 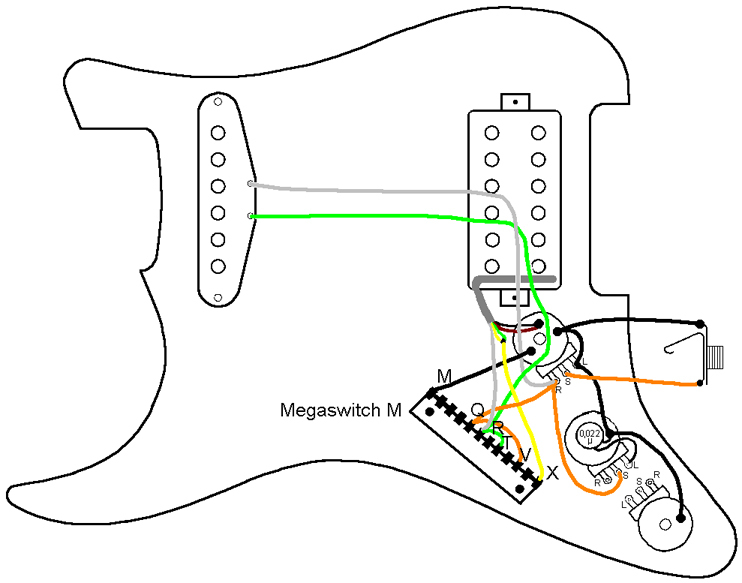 This switching system is for guitars with a single coil on the bridge and a Humbucker on the neck. It allows both pickups to be switched in series which creates a louder, fuller tone. The Humbucker can be split while the outer coil remains active. 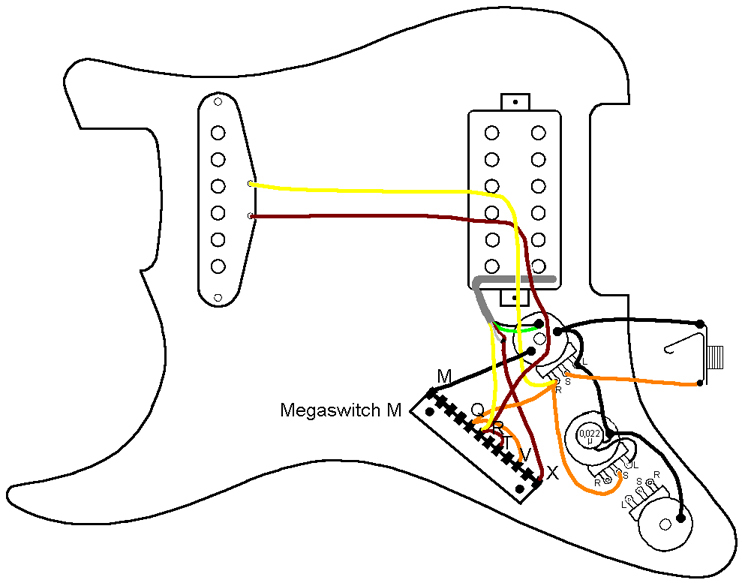 The inner coil is short-circuited. 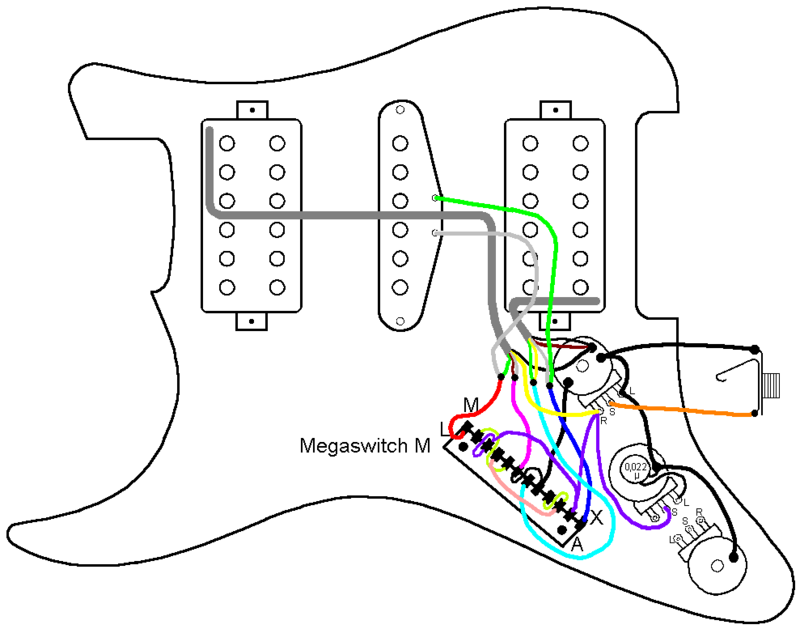 The Humbucker can be split while the outer coil remains active. 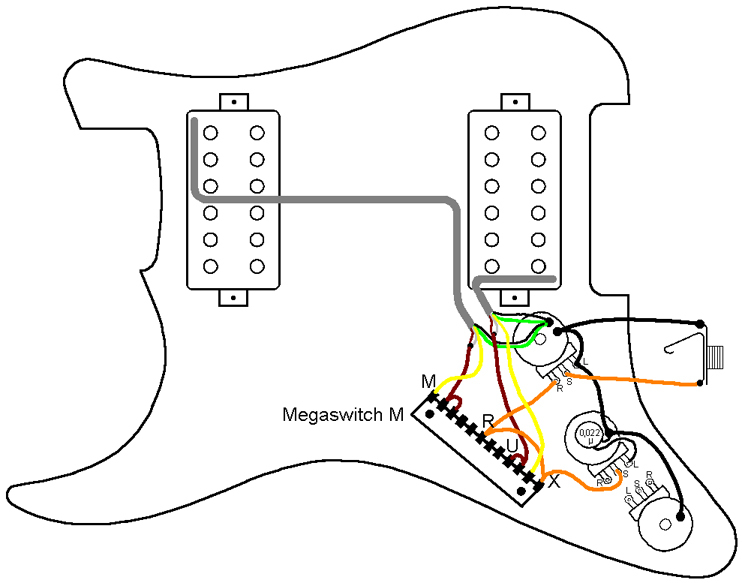 The inner coil is short-circuited. 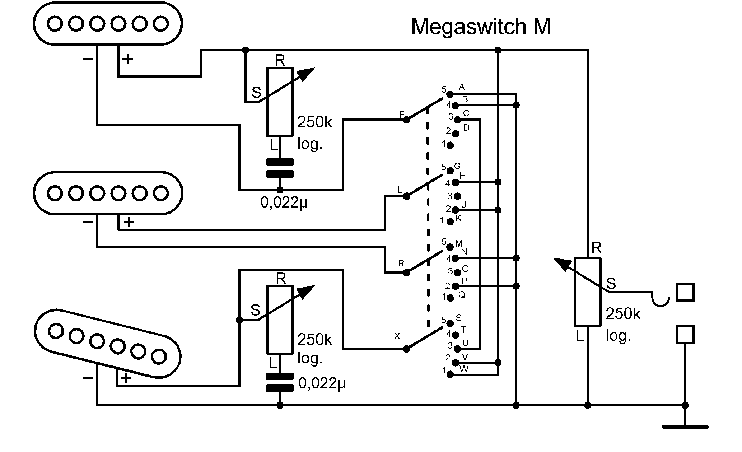 The Megaswitch M is ideal for this purpose. If a buzz-free sound is required in position, the following magnetic polarity (from the bridge to the neck) is required: N-NS or S-SN. 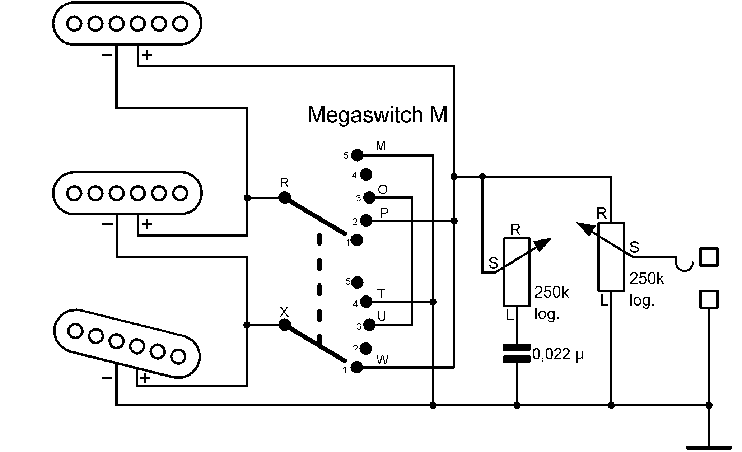 This switching system is for guitars with a single coil on the bridge and a Humbucker on the neck. 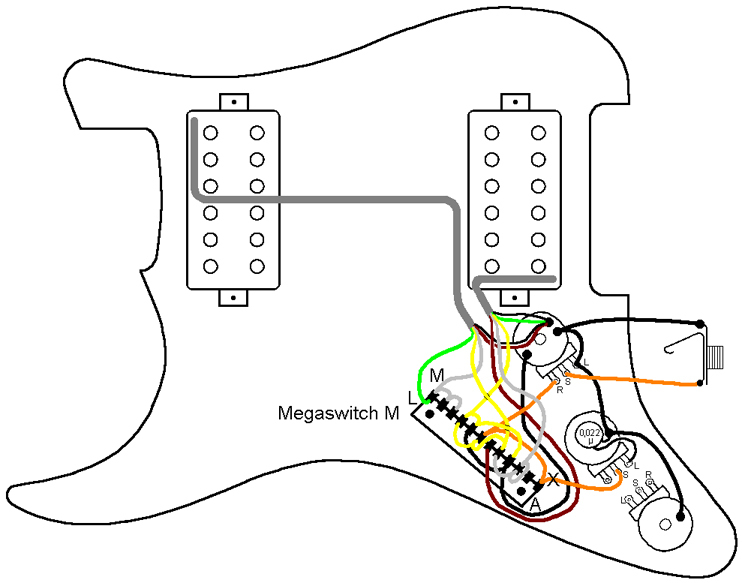 It allows both pickups to be switched in series which creates a louder, fuller tone. 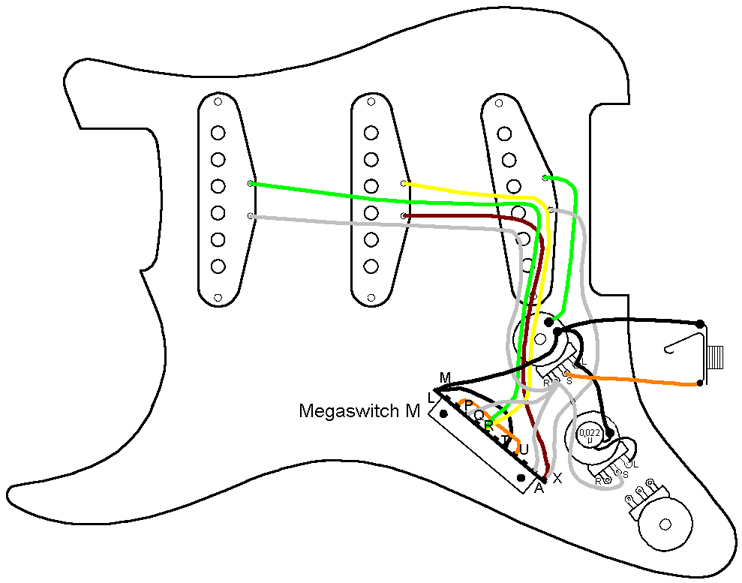 The Humbucker can be split while the inner coil remains active. 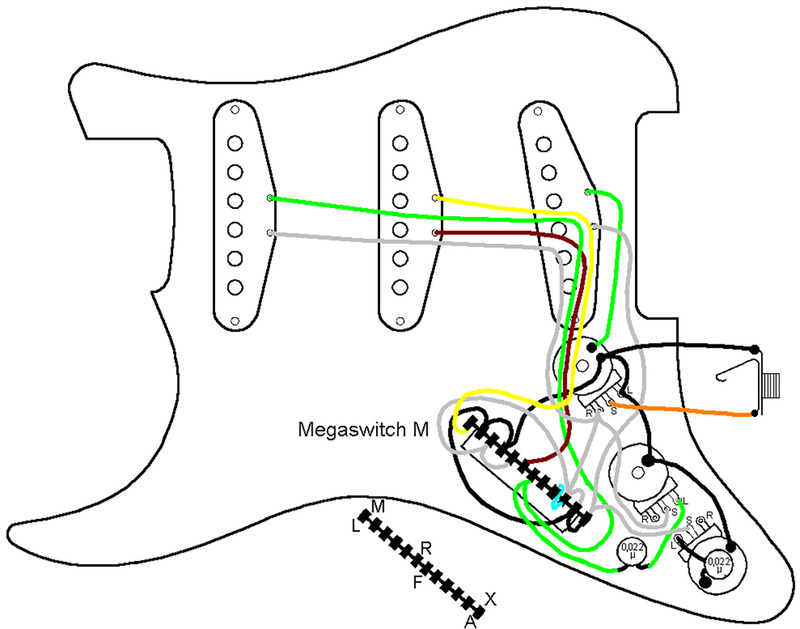 The outer coil is short-circuited. 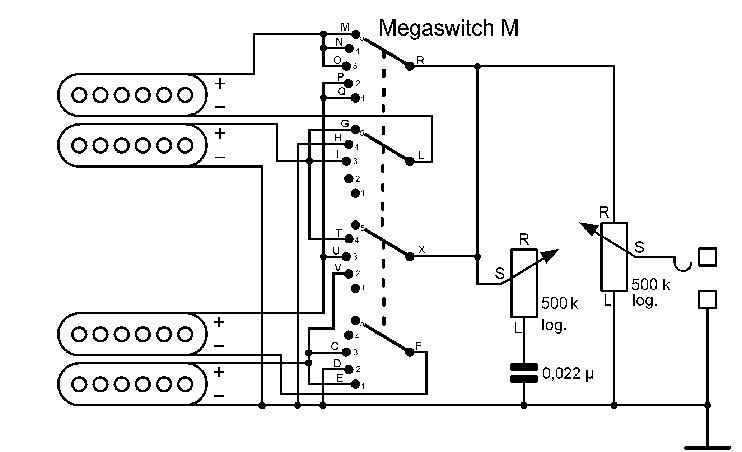 The Megaswitch M is ideal for this purpose. 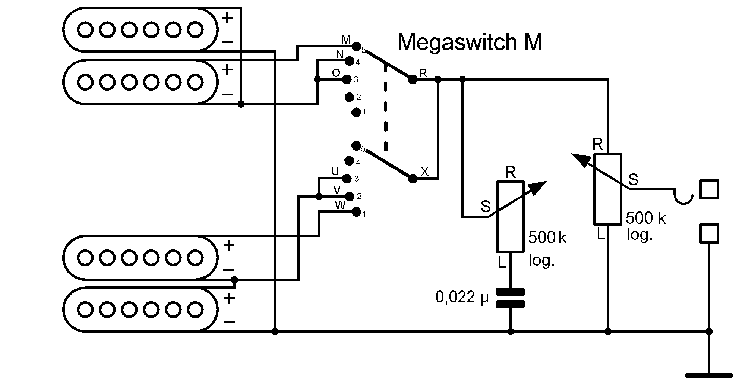 If a buzz-free sound is required in position 2, the following magnetic polarity is required: N-SN or S-NS.